We’ve made all of these business coach mistakes so that you don’t have to! We’ve even explained why we make these mistakes and tips on how to avoid them! Jumping on the first thing that comes up/Immediate “problem solving” mode. Why do we do that? We want to show our value quickly! What’s the problem? May be treating a symptom rather than a cause! TIP: “Go wide before you go deep by asking ‘implication’ questions.” This will get you and your client focused on the most important, core issues. Why do we do that? In our culture, “silence” is uncomfortable. What’s the problem? Prohibits the opportunity for thoughtful consideration! TIP: “Allow silence to do some heavy lifting!” When you do, the quality of your coaching will increase dramatically. Neglecting to have the client articulate (quantify) the projected benefits that the desired change will provide. Why do we do that? Perhaps we forget, or maybe we just think that the benefit is obvious enough to our client that we don’t find it necessary to have them clearly articulate the benefits. TIP: Prior to identifying the possible strategies required to solve a problem or capitalize on an opportunity, take the time to explore, identify, and quantify (if possible) the benefits that the client will receive. By making it tangible, your client will be more driven to achieve success. Passive or absent listening because you’re thinking about what you’re going to say next. What’s the problem? You’ll miss critical key points being said (sometimes between the lines) when you’re thinking about solutions instead of actively listening. TIP: “Practice ‘Active Listening’ and remember that it is far better for a business coach to be ‘interested’ rather than trying to be ‘interesting!’” Be curious and remember that your job is to coach a person; not solve a problem. When you do this, you’ll separate yourself from everyone else who is “giving advice” to your clients. You’ll stand out as a professional and your clients will place a much higher value on your work together. Failing to restate and confirm what’s been said. Why do we do that? Because we want a fast conclusion. What’s the problem? Without giving the client an opportunity to confirm what you’ve heard and have the ability to amend it, clarify it, or dismiss it, you may be going down an irrelevant road! TIP: “During client-sessions, periodically ensure clarity by restating what you’ve heard and invite the client to confirm it, amend it, clarify it, or to dismiss it entirely.” Remember- There’s no bigger waste of time than doing something perfectly that need not be done at all! Achieving “Clarity” is critically important and one of the most important things we can do with our clients. Not taking time to validate the client. Why do we do that? We feel confident, so we presume the client does, too. What’s the problem? The client’s psyche may be centered on “lack of confidence, regret, and fear” all of which stifle creativity and productive action. TIP: “Recognize the successful things your client has done to get them to where they are today. Remind your client that ‘feeling stuck’ is often times a symptom of using old strategies that worked before, but are no longer advanced enough to continue moving ahead. Congratulate the client for outgrowing the strategies of yesterday!” When you help a person grow in their own self-confidence by validating them, they’ll feel better and will perform better. Remember- People don’t care how much you know until they know how much you care about them. By recognizing their talents and abilities, your clients will know you care and they’ll benefit greatly from it. Projecting your own opinions without proper consideration of the client’s vision/capabilities/behavioral style/state of mind. Why do we do that? We’re either unaware or we forget that our own ideas and paradigms are not universal, but subjective in nature. It’s easy to have opinions and we’re all too eager to share them! What’s the problem? You’ve made it about you and your ideas rather than making it about your client and his/her ideas. That’s not why they hired you as a coach! TIP: Remember, we coach “people,” not “problems!” When we facilitate our clients in solving their own problems, they’ll take more ownership of the process and will grow in confidence and abilities. Your clients know themselves, their businesses and all the factors that affect their businesses (employees, customers, their financial position, their market-position, their industry, etc.) much better than you do. Trust that they can come up with their own solutions. If in doing so you think they may be missing something, go ahead and tell them what you’re thinking. But please, allow your client to maintain control! They’ll value that immensely. Assuming the position of “boss” or “equal partner” with our client instead of respecting our role as the coach. Why do we do that? We genuinely care a lot about our clients and their businesses. We (wrongly) believe that our clients value our services more when we assume a more powerful role in the relationship. What’s the problem? We get ourselves entangled in the emotional “weeds” of the business which we’re there to help our clients get out of! Additionally, we can easily become overbearing and leave our clients confused, overwhelmed, or even upset. TIP: Be mindful that our job is to help our clients meet their own full-potential; not for them to surrender control of their businesses to us. When you maintain your position as “coach” instead of “non-equity partner,” you’ll be much better positioned to help your clients achieve their own visions. That’s why they hired you! Addressing too many things at the same time (jumping around). Why do we do that? We want to help our clients solve all of their problems and meet all of the opportunities as quickly as possible! What’s the problem? Our clients start a lot of initiatives, but since they’re working on too many things at once, nothing gets completed. TIP: Have your client prioritize the things that need to get done, then work on only one or two things at a time. Be mindful that our clients receive the biggest return-on-investment from coaching when things are completed! By helping your clients maintain the structure and discipline in seeing things through to completion; your clients will retain you for years on end! Failing to conclude sessions with achievable, prioritized, and specific action steps. Why do we do that? We genuinely care about our clients’ success and we believe that the more work we give our clients, the faster the return-on-investment they’ll get. We may even forget that they have day-to-day operations they must attend to in addition to our action steps! What’s the problem? Without action, nothing happens. With the wrong actions, the wrong results follow. With too many actions, the client becomes overwhelmed and shuts down and does nothing. That will likely lead to cancelled appointments. TIP: “Don’t ‘give’ action steps. Instead, invite your client to tell you what his/her action steps will be along with a deadline for when they will be completed. Ensure that they are specific (rather than vague) and ask the client how long they think the action step(s) will take to complete. Confirm with the client that they are able to allocate that amount of time to the action steps with all the other things they have going on in their businesses and in their lives. Remember that it is critically important that action steps be completed appropriately and on-time! When they are, your value as a coach is obvious to the client and they’ll greatly appreciate it! Please Note: While this Top-10 List of Business Coach Mistakes is quite common among business coaches, please do not consider this a comprehensive listing. The explanations and tips provided merely scratch the surface of common mistakes that business coaches make! This was created to give you a quick reference and some simple (yet not always easy) tips to keep in mind. 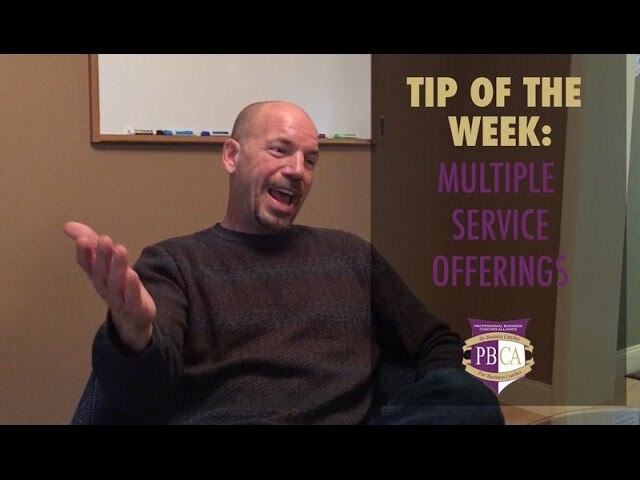 Among the many common mistakes business coaches make in their sessions, other common mistakes are made when business coaches are marketing, positioning, pricing, packaging, scheduling, and selling their services. If you are already a successful business coach who is ready for continued professional development and resources to help you in your coaching, please check out the Professional Business Coaches Alliance “Legacy Coach Orientation Course”. The PBCA Legacy Coach Orientation Course will cover all of the common mistakes in detail and will show you strong fundamentals to avoid those mistakes and help you taking your coaching to a whole new level of success!